My getaway has always been on a bike. In high school when I was loaded down with work or I was just feeling down, I would call up a buddy and go hit the local trails by my home in Roanoke, Va. Something about the air rushing past your face, the intimate connection between you and nature as you blast down a narrow trail clinging on for dear life. One of the things that upset my about leaving for college was leaving behind my mountain bike and my favorite pastime. I didn’t think it would be that bad until about two weeks into my first year experience I was once again craving a mountain blast. I knew I had to get it out of my system somehow, but where would I go in Charlottesville? This wasn’t the rural mountainous area I heralded from? There couldn’t possibly be a good place to bike here? A few Google searches later I realized how wrong I was. A mere half mile ride from my dorm, on the hill behind O’Hill Dining Hall there is an entire trail system dedicated for runners and bikers. I was ecstatic; I grabbed my helmet, printed out a map, and jumped on my commuter bike (bad choice). Within the space of fifteen minutes I was blasting down a mountain trail, leaving all my worries behind. I was quite pleased by the trail system, a nice blend of fast down-hills and gentle (but rocky) up-hills, well until I got a flat tire jumping off a drop. So this trip didn’t end so well, and I got a nice hike back down carrying a bike (much to the amusement of gathering tailgaters). A few weeks later, I convinced my parents to bring up my mountain bike and have since been riding O'Hill almost daily. It's a great workout and lets you take a break from the hustle and bustle of daily college life. Go out and explore campus you will be surprised what you find. 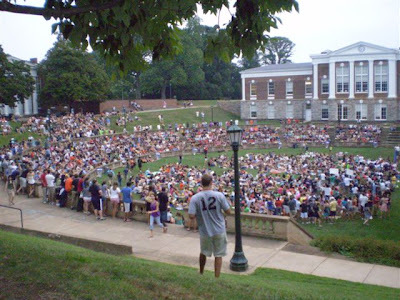 Don’t let yourself be trapped in your little square of campus and your first weeks at UVa will be all the better. 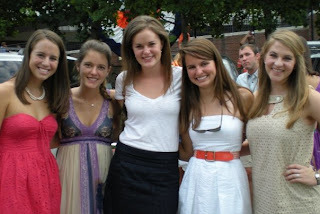 By now, all the new writers for the blog this year have posted their intro posts to let you know that these friendly faces will be bringing you all things UVa. One thing I must disclaim is that the blog is freely run, independent from the Office of Admissions and UVa for that matter, so we are not told what to write. The first piece of advice that I got from the office when instituting this idea was that they wanted it to be student run (as most of the things here are) with topics about anything we wanted to write about. I head this blog as part of my work with Virginia Ambassadors which is a CIO (UVa lingo for club) that devotes itself to showcasing our lovely University to those interested in learning more about it. We will be posting about all things UVa...sports, classes, professors, majors, activities, housing, dining, applying and many more. Since this is catered towards answering your questions, if there is something in particular that you'd like us to share, please don't hesitate to leave a comment or email one of us! Welcome to the HooStories Blog! I'm so excited that you're interested in UVa, and I hope that reading this blog helps you to learn more about this awesome place! My name is Kate, and I'm a second year in The College. I plan to major in Cognitive Science and minor in French, and my long term plan is to go to law school. But there are so many things here at the University to explore; nothing is set in stone! I come from a small town south of Boston, Massachusetts. Yes I'm Irish, yes I love the Red Sox, and my friends tell me I have bit of an accent although I tend to disagree. 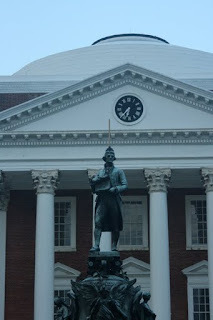 When I first started looking at schools, I hadn't even considered the University of Virginia. We were in the area and my mom wanted to visit because she had heard of the beautiful public gardens behind the lawn (she's big on flowers) so we came through Charlottesville. After a solid two hours of walking around campus while my mom and the head gardener on Grounds had a heart to heart, I knew that this was a place I could really see myself at. Fast forward two years, and here I am! I love UVa, coming here was probably one of the best decisions of my life. I have met so many amazing people and done so many cool things I never would have had the chance to do otherwise. For example: I'm going white water rafting over fall break! I love getting involved around Grounds, like volunteering for Madison House (a student run service organization), being a Project Serve site leader, and doing research in a psychology lab. Plus, I run for the Club Cross Country Team and Ski for the Alpine Ski and Snowboard Team. Yes, there are ski mountains in Virginia and they're only 45 minutes away from UVa! UVa has so much to offer, and there's always something new to try. I hope you all get the chance to experience these awesome opportunities! If you have any questions or just want to say hey, feel free to shoot me an email! Until then, I'll keep you posted. 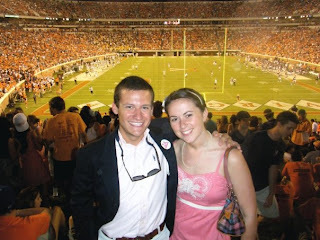 My name is Kelsey and I am a second year at the University of Virginia. I have absolutely no idea what I want to major in, but that's okay! Because here at UVa you don't have declare until the end of your second semester of your second year! So my goal for this semester is to decide what I want to major in. I am toying with the idea of Politics focusing on Foreign Affairs, or the new major we have called Global Development. I'm having such a hard time deciding on a major because all my classes have been extremely interesting! I have no idea which way I want to go. One of the great things about UVa is that there is such a variety of classes you can take in all subjects and of all sizes. There are lecture classes, where there can be over 500 people in a class. And there are smaller classes where there are no more than 15 people in a class. So, I went off on a tangent and just talked about the University (because its so great! :]), now back to me. I grew up in Goochland Virginia, which is a small rural area right outside of Richmond. I am a country girl and I am proud to be! :) I love volunteering and playing soccer. I am the Leadership Co-Chair of Black Student Alliance, I am involved with a mentoring program called "I have a Dream" and I work at a gym on grounds! I love hanging out with my friends and having a great time. 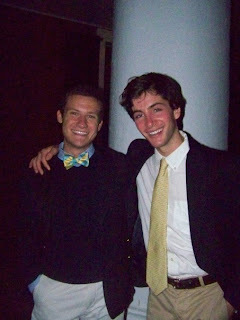 I am so happy that you are considering UVa and that you are reading our blog. We blog for you!! So if you have any particular questions or concerns, please do not hesitate to ask me! Welcome to the HooStories blog! If you’re reading this, I hope it’s because you’re interested in/you already adore UVa; if this isn’t the case, feel free to continue perusing anyway, but just know, we all pretty much love this place, and that fact will make itself very apparent, very soon. Either way, I hope you enjoy reading about our thoughts, experiences, and lives as students here in Charlottesville! My name is Judy, and I’m a third year here at Mr. Jefferson’s University, currently studying foreign affairs and art history. I’m originally from Glen Allen, Virginia, but usually, when people ask, I just say Richmond; I’ve learned that this is much easier than having to explain “well, it’s not exactly in the city, technically it’s considered part of the suburbs…” only to be met by bored stares. Anyway, so, when I started the process of applying for colleges, I have to admit, UVa wasn’t even on my list of possibilities – my heart was set on going out-of-state since… well, since forever. But, as it happened, I impulsively applied ‘early decision’ (which we sadly no longer do) and got in. To this day, I count it among the best decisions of my life. These days, it’s hard to believe that my undergrad experience as a Wahoo is more than halfway over, but all that I’ve done and everything I’ve learned in the last two years has been more than rewarding – and yet, somehow, I’m always finding new things to love about this university. My most recent preoccupation involving UVa that I absolutely cannot stop raving about is the Semester at Sea study abroad program we offer. I chose to go this past summer, and really, this program is honestly the absolute best of its kind. Not only did it give me the best summer of my life (who could really dislike travelling to 10 countries in 67 days), but I was also able to forge friendships that will never disappear, as cliché as it sounds. Then again though, that’s how I feel like my entire experience at UVa has been – filled with the best kinds of people you would ever care to meet. That’ll do it for this post, but I’ll be putting new posts up periodically, so feel free to check the blog every now and again. Until then, definitely don’t hesitate to email me with any question, concern, or inappropriate joke you might have. Hi there! So glad you’ve come across this blog. My name is Lauren, and I am a fourth year although I don’t really like talking about that because it pains me to think of ever graduating and leaving this wonderful place. So we won’t talk about graduating :) Instead I’ll write here from time to time so as to share with you all the things that make me love these grounds so much. I’m from a town just outside of Philadelphia, Pennsylvania and love my home, but have become a huge fan of the beautiful state of Virginia. I am an English major and a Media Studies minor so I rep what we refer to here as THE COLLEGE (short for the College of Arts and Sciences). However, my UVa experience has been more then just English papers and reading media theory articles (although I do very much enjoy both!) Here on Grounds I am involved in my sorority, Reform University Fellowship, and the American Marketing and Advertising Assocation. I am a Class of 2010 Trustee and serve on the Graduation Planning Committee – ironic, considering I am so opposed to graduating! I also volunteer through Abundant Life Tutoring and tutor a second grade student at a local elementary school. I love spending my time being involved in both UVa life and the Charlottesville community. I hope you will check back in from time to time and continue to learn more and more about the fabulous life of a HOO! Thanks for checking out the HooStories blog. I’m so excited that you’re interested in UVa. I can hardly believe that it’s been a year since I was in your shoes. Pinch me! Right now I’m taking several of the pre-requisites for the McIntire School of Commerce (Comm School) so that I can apply to it during my second year, but I’m also hoping to get another major in Business Ethics/Religious Studies through the Echols Interdisciplinary Majors Program, all of that is subject to change though. Even four weeks in UVa has presented me with some really great opportunities that I never imagined I’d have. To all of you potential out-of-staters, don’t for a second worry about coming in here alone and not finding friends. In high school, I had 3 best friends and we all went to different schools. I thought it was going to kill me and that I’d never find friends like Mish, Maris, and Joobs (nicknames) here. But, surprisingly, I was quite off the mark on that one. College has a way of leading you into great friendships right from the outset (although I definitely do still miss my high school friends). Below is a picture of me and some new friends before the first football game! Anyways, this blog will be where I’ll report on various things here at UVa, mostly my experiences here. So expect to read about anything: school, friends, family, faith, clubs, events, parties---it’s all fair game. Have a great week guys! Friday-Sunday keeps me going. There are always adventures in this eclectic, Blue Ridge town. 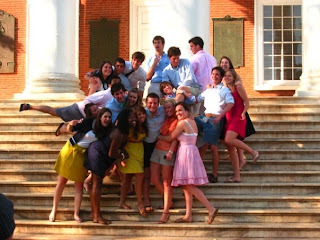 It’s crazy to think that just a year ago I was a first-year, completely unaware of what was in store for me here at UVa. I would become a tour guide, survive Financial Accounting, volunteer in the Dominican Republic, and enjoy the Foxfield Races. I would learn about myself as an individual and I would grow as a student. I would fall in love with the University of Virginia. I’m a huge believer in signs, so I think your discovery of this blog is an important one. Interpret the sign as you wish, but I have an inkling that UVa might be the perfect fit for you. If you disagree, I challenge you to visit Charlottesville and give this place a shot. If you don't have a "crush" on UVa after your visit, let me know. I’ll be blogging periodically about my miscellaneous weekend experiences, my academic pursuits (in addition to the pursuits of others), and student life in general. Stay tuned, prospectives. I have a feeling my second-year will be better than my first and I’m looking forward to sharing it with you. 2779 minutes till the weekend! Welcome to the student blog. I hope you enjoy reading what we enjoy writing about: UVa! Some of us have been here a few weeks, others, a few years. We all have different experiences, different points of view, different majors. The one thing us writers have in common is UVa and we want to share with you so you'd enjoy it just as much. My name is Janna. I am a fourth year in the School of Architecture, majoring in Urban and Environmental Planning. Whenever someone asks me where I'm from, I ask them which version they'd like to hear. And no, not because I lie to people. But because I grew up in many places/countries/cultures and it's not always appropriate to share my entire life story. I was born in Russia, spent a few years in Kazakhstan and Germany, lived in Miami, Florida for six years, moved to Fairfax, Virginia for my senior year of high school, and now I'm going on my fourth year at Charlottesville. See? It's not as simple a question as you'd think. When someone asks me where I'm from and I feel like telling the whole truth, I say, "Planet Earth, have you heard of it?" Thus, my life will most likely not be centered around one place or one city. I plan to travel and see different places, and raise my children the way I was raised, albeit for different reasons. Perhaps some things I write about will be influenced by my experiences. Perhaps not. You'll just have to wait and see. Now, I hear I should write about some hobbies or whatnot. Well, let's not make this post more about me than it already is. If you are that interested, you will continue to read my posts and try to email me or something (which, please feel free to do!). 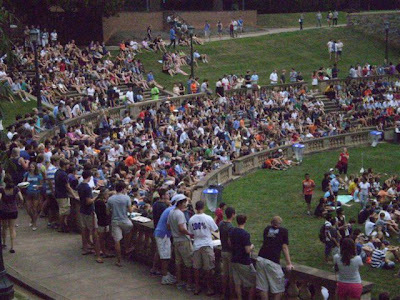 This blog is about UVa and its students, and the experiences one provides for the other. Thus, expect to read about the unexpected, including (but not limited to): classes, clubs, events, parties, volunteering, movies, graduate school, jobs, friends, family, heartbreak, elation, and life. Take care! Come back often to experience some more of UVa!! Thanks so much for checking out our blog! My name is Patrick, and I'm a FOURTH YEAR student studying History and African American & African Studies. I'm from Belmont, New Hampshire and love my New England roots. 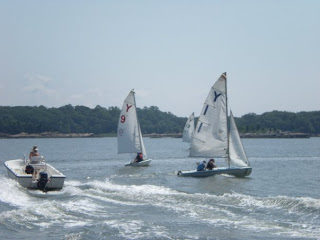 I was lucky enough to spend my summer at a summer camp in Connecticut doing ridiculously Northern things like sailing, but I'm so psyched to be back to UVa for the school year! When I first began my college search, UVa was not even on my radar. I was certain that I would go to school in an urban area, where I could be in the thick of politics, culture and fashion. During this phase, my family and I were touring schools in Washington, D.C., and my mom suggested that we check out UVa while we were there. I had no idea where UVa was, but my parents assured me that it was "just over the Virginia border." You can imagine my surprise when we finally arrived two hours later! Although I was skeptical at first, my tour and visit to Grounds really sold me on UVa. And now, four years later, I can't imagine myself anywhere else. I've found everything that I was looking for in an urban school, plus the incredible community of Charlottesville as a bonus. There is so much to get involved with here, whether that's exploring the Blue Ridge mountains, eating at amazing restaurants downtown, going to sporting events (It's a building year for football), or playing in sporting events like Intra-Mural Inner Tube Water Polo. Not to brag, but I'm a force to be reckoned with; that is, if I can manage to stay in my tube for the whole game. Please feel free to email me with any questions you may have, especially about being a far-from-home out of stater. I'm also a tour guide, so please come on my tour if you're visiting 'Hoo Country! Ok, so despite common misconceptions, most engineers do understand how to formulate sentences and use correct grammar. My name is Steven Cook and I am a new contributor to the Hoo Stories Blog. I am a first-year in the E-School and have plans of majoring in Systems Engineering. Some background info on me: I went to Lord Botetourt High School in Daleville, Virginia where I enjoyed four glorious years as a Cavalier. Upon graduation I had three choices, UVa, PSU, and VT. Having grown up in a predominately Hokie centered environment and cheering for VT all through my younger years, the choice was clear, I went to UVa. Something about this place, the people, the environment, everything was just awesome. I traded my maroon for navy and here I am. I have several hobbies including biking, swimming, and cars. I love to mountain bike! Until I got situated in my dorm I didn't want to have my bike to worry about so I left it at home. Worst choice ever, I ended up missing it dearly and my parents brought it up one Sunday as a surprise. Yeah, I like inanimate objects a little too much, so what? 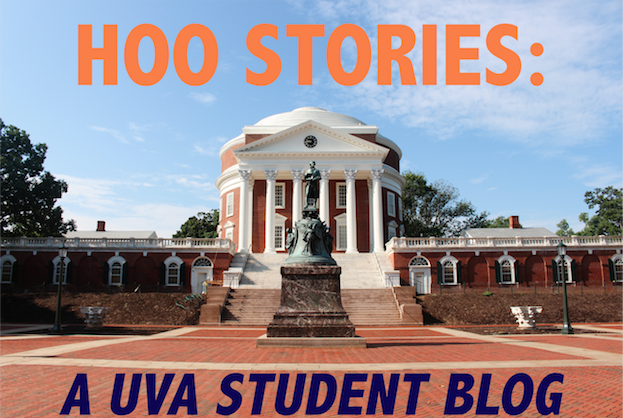 My main goal in writing for the Hoo Stories Blog is to help show perspective students what a great place UVa is. I'm going to try my best to provide insight on what the life of a first-year E-Schooler is like and why UVa is the best college ever. I also want to prove to the world that engineers are more than just digit punching nerds, but that we have a heart and soul as well. 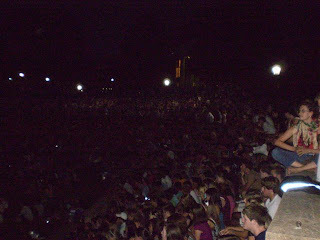 Last year in the Fall semester, I heard about Tom DeLuca--a traveling hypnotist who often visited Grounds. The whole event sounded hokey to me, so I wasn't disappointed when he didn't come my first year. This year, I wasn't planning on attending, but everyone I talked to seemed to be heading to the Amphitheater to go and see his show. I figured I had nothing to lose: the show was free, and I could easily leave if I wanted to. For those who can't see it for the darkness of the setting, wherever grass used to be, there's now a person sitting there cheering. The crowd was immense. 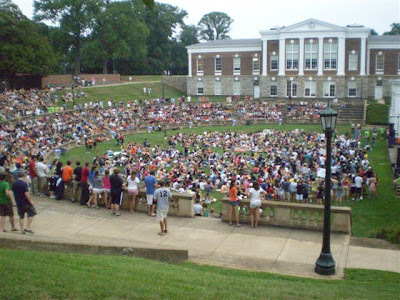 I've only ever seen events that well-attended: Rotunda Sing and The Lighting of the Lawn. Having seen the show, I can understand why. Even I who thought it would be boring found myself laughing and cheering along with the masses. My favorite part was when DeLuca told this young man (while he was sleeping hypnotized) that when he woke up, he'd realize that he was the friend of all fruit. So after about ten minutes--just when you were beginning to forget that DeLuca had mentioned the fruit at all--DeLuca draws two apples from a pocket, and the guy lunges forward, seizing the apples. The entire show was really well done. It didn't feel cheesy or like some magic show for third graders. I had a blast and would definitely recommend it.